Are you looking for the fastest & cheapest company formation? United Kingdom might be one of your choice in regards to company formation. Highly reputable jurisdiction. E.g. are you about to expand to Europe or simply looking for jurisdiction registered with Android platform – see more in here. 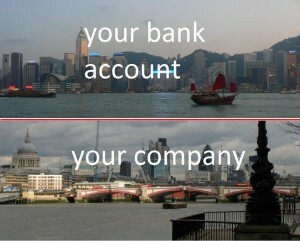 There might be an issue with your citizenship (non UK ciztizen might have difficulties to open a bank account) therefore we might offer you to open a bank account in HSBC in Hong Kong. Prospectacy LTD on Join Starupr team – Startups on Kiva and help change the world with just $25!